Under Appearance > Customize > Front Page > Featured Categories, select whether to show “Featured Categories” on the home page. To change the number of categories, pick a number on the Number of columns field. To change the number of posts displayed per each category column, select Number of posts in each column. 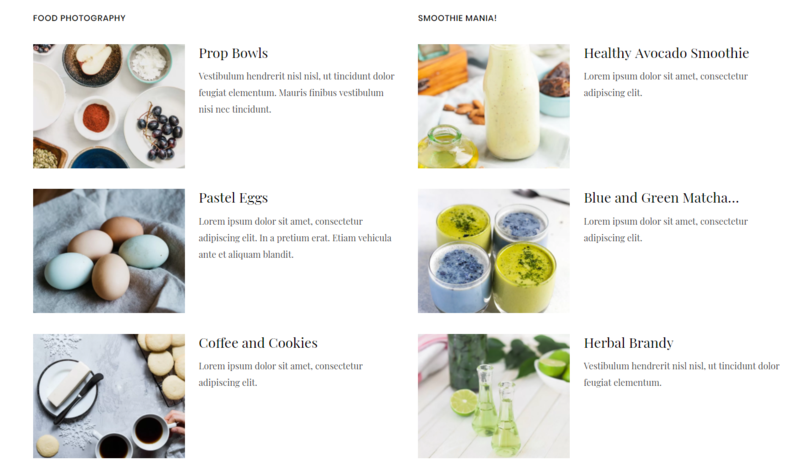 For each column, you can select a custom heading and a category you want to feature. 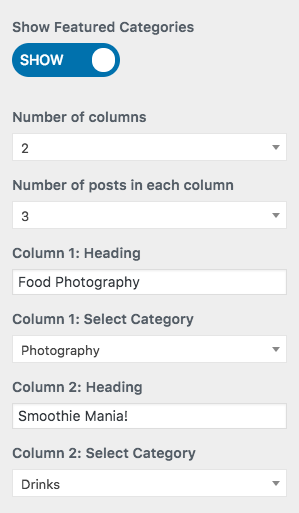 So you have complete control over how many categories to display (up to 3) and the number of posts to display in each category (up to 5).